The Centers for Disease Control confirms America has it's first case of Ebola after a patient hospitalized in Dallas, Texas received a confirmed diagnosis. The patient, hospitalized Sunday, apparently left Liberia on September 19th. Ironic. September 19th was also the date the CDC issued precautionary quarrentine guidelines to airlines in an attempt to stop Ebola's spread. Another question: Where besides the U.S. has the Dallas patient traveled while en route to the U.S. ?There are apparently no direct flights between Liberia and the U.S. Apparently Barack Obama has trouble squeezing in national intelligence and security briefings. In September 2014, the Government Accountability Institute updated an analysis of how much time President Barack Obama has spent attending his Presidential Daily Briefs (PDBs), as recorded on the White House official calendar and Politico’scomprehensive calendar. The updated study covered the president’s first 2,079 days in office, running from January 20, 2009 through September 29, 2014. Of those, President Obama attended a total of 875 Presidential Daily Briefs for an overall 42.09% attendance rate. The Obama adminsitration has placed illegal aliens all across America, and as predicted, it's causing problems for local school districts. "What we also have to do is we have to come up with political solutions in Iraq and Syria, in particular, but in the Middle East generally that arrive in the combination between Sunni and Shia populations that right now are the biggest cause of conflict, not just in the Middle East, but in the world." - Barack Obama, 28 Sep 2014, 60 Minutes interview. My webcast co-host Don Dickinson notes this is a very strange thing for Obama to say since Obama has long been on record as saying Islam has nothing to do with all the terror going on world-wide. 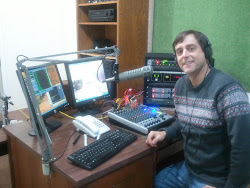 After a month-long break, Don and I will be back with our program on Friday, October 3rd. A well done political ad. But it would be better if more Republicans running for reelection hadn't been so eager to enable those who've brought us to where we are now. Progressives want to kill the U.S. Constitution so bad they can hardly stand it. But you should have learned from Obamacare, you can't trust progressives or the promises they make. They'll tell you a new constitution will make things all better. What it would be more likely to do is give them freer hands to complete their socialist remake of the good ol' USA. And if there's one thing I enjoy when traveling, it's exposure to the overly simplistic journalism presented in print by USA Today. 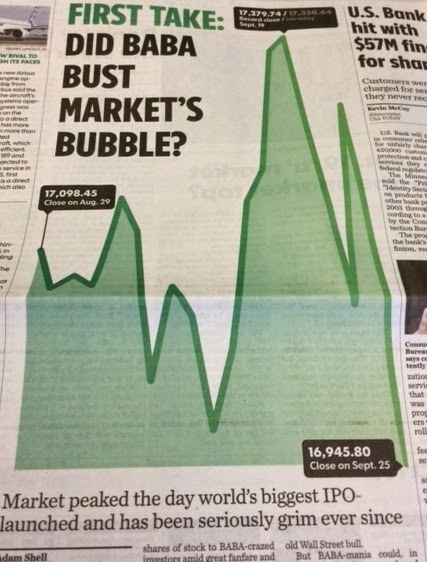 Here's the big story on Money section front page that greeted me at breakfast this morning. Seriously, I've been watching the stock market with an especially sharp interest the past few weeks. It's my opinion the market's under some pressure right now, and may be on the verge of a consequential pull-back. The BABA IPO may be big, but it's small potatoes in terms of the systemic problems bubbling under the surface in our present economy. (BABA is the ticker symbol for Alibaba Group, which just began trading on the NYSE). I was on the road yesterday so didn't closely follow the Eric Holder resignation story. Did a little catching up last night. The Democrats need something to stir things up before the mid-terms, something that lets them point fingers at Republicans where they yell and scream about "obstructionism." The Dems attempt to use impeachment as such a measure got circumvented. So maybe a ginned up AG nomination fight can fill the gap on short notice. I do find the timing of a Holder resignation a bit odd. Mr. Holder inserted himself in the Ferguson, Missouri mess in a big way. For all the stirring that was done, it seems odd Holder's chosen now to walk away. Then again, Holder's leaving appears contingent on Obama getting a replacement. And if Obama picks a flawed nominee (or two or three), and can't secure a senate confirmation vote, I wonder how much longer Mr. Holder might continue in his present capacity. Could the Obamas really be this naive? After the President's speech to the UN yesterday, the Washington Times describes "Obama's breathtaking naivete." Simply believing something doesn’t make it so. The president’s desire for a world in which nations talk openly about their true feelings, perhaps share a good cry together, and sing kumbaya around the campfire, is the height of naivete. But Islam and the holy Koran on which Muslim militant groups like al Qaeda and the Islamic State base their actions do call for the extermination of all who do not follow Islam, do demand that followers kill anyone who leaves the religion, do subjugate women. For the record, the Koran contains more than 100 verses that call Muslims to war with nonbelievers. Meanwhile, Michelle Obama was also at the UN, where she proclaimed that America's "harmful cultural norms" are hurting women. What is it about this couple that make it so willing to defend Islam, yet bash America? 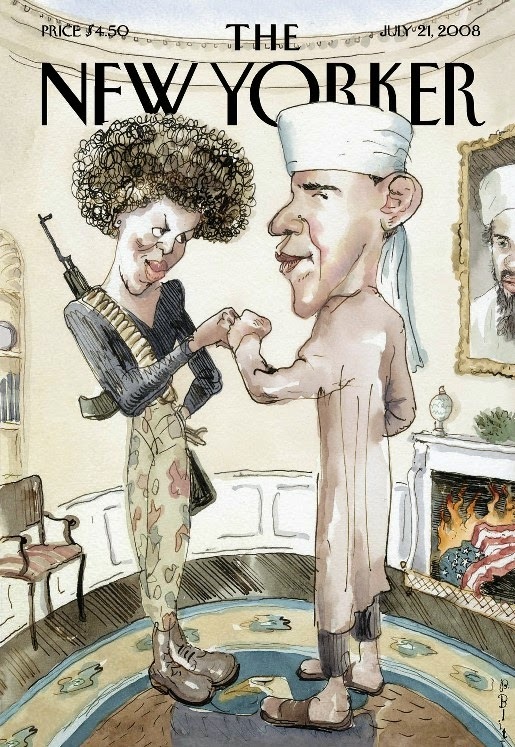 Perhaps that July 2008 cover from the New Yorker came closer to the truth than most dared admit at the time. I've had a few messages. I get it. Not everyone is a fan of the F-22. The F-22 was pricey, it had significant cost over runs, and there were technical developmental issues even after the fighter was placed in service. which may be far more egregious. The F-35 Joint Strike Fighter is the most expensive, and possible the most error ridden, project in the history of the United States military. But DOD has sunk so much money into the F-35 — which is expected to cost $1.5 trillion over the 55-year life of the program — that the Pentagon deemed it "too big to fail" in 2010. Heck, by the time it belatedly takes its role as a front line fighter in a wide spread capacity, an F-35 may cost as much per copy as an F-22. "A single Air Force F-35A costs a whopping $148 million. One Marine Corps F-35B costs an unbelievable $251 million. A lone Navy F-35C costs a mind-boggling $337 million. 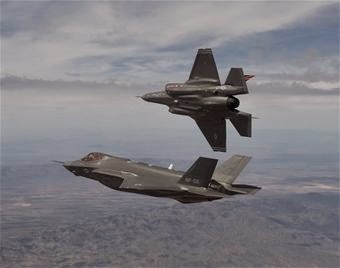 Average the three models together, and a 'generic' F-35 costs $178 million," (government watchdog Winslow) Wheeler wrote. And the F-35 price tag keeps gaining altitude. "The cost of an F-35B grew from $232 million in 2014 to a bulging $251 million by 2015," Wheeler wrote. "The cost of the Navy's F35C grew from $273 million in 2014 to a wallet-busting $337 million by 2015." Meanwhile, some of the F-15s our military's still flying are long overdue for retirement. But the F-15 is what Obama wanted as a backdrop for a photo op in 2009. The F-15 is a fighter design that's been in service with the Air Force since Gerry Ford was president. The F-15 was on Air Force flight lines when Obama was still running with the Choom Gang. Yet it was the F-22 that Obama called outdated. In the anti-ISIS air campaign over Syria, America's F-22 stealth fighter finally makes its combat debut. But wait. Obama hates, hates, hates the F-22. 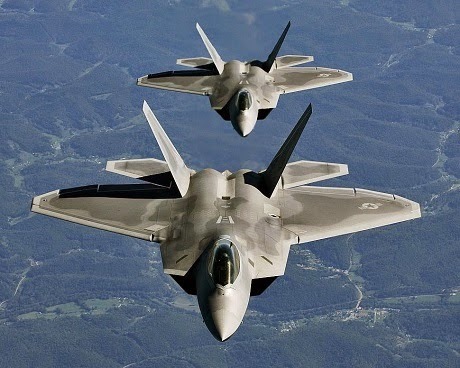 "I reject the notion that we have to waste billions of taxpayer dollars on outdated and unnecessary defense projects to keep this nation secure," said Obama, in reference to the F-22, in 2009. Obama led the cheerleading to prematurely kill the F-22 program. As international threats to the U.S. and its interests now escalate, do you trust Obama-the-picky photo-op-president to keep the nation safe for the next two years? Update: I've posted a follow up. Venezuela's government begins a push to disarm its people. "We are building peace from within, and for that, you need disarmament," said President Nicolas Maduro, as quoted by the BBC. Some newspaper editorial writers in New Jersey would like to see government start confiscating people's guns. But they dress is up all nice, and call it a mandatory gun buyback. At least they're smart enough to know it won't happen. Or are they just saysing so, trying to keep gun owners off-guard until it does? Another target of "fundamental transformation"
Obama and the unions want to fundamentally change how franchise businesses do business. Progressives, collectivists, socialists, Marxists and fascists all hate dealing with the little guy. They all prefer to deal with a central source - to better match with their central planning ambitions. Economic sanctions intended to hurt Russia may instead backfire on the U.S. dollar. Total, the giant French oil company, is now looking to Chinese financing on a major three way deal between itself, Russian and Chinese concerns. Cutting out the dollar circumvents American sanctions. And charts a course for other deals where the dollar, seen as as a "world reserve currency" has its influence bypassed and diminished. President Barack Obama told the nation Wednesday night that he planned to pursue the extremists who have seized much of Syria and Iraq just as the U.S. has done “successfully” in Yemen and Somalia. Yemeni Prime Minister Mohammed Basindwa has resigned amid reports that rebels have taken control of the government headquarters. Fighting in the capital Sanaa has increased despite the United Nations saying a peace agreement has been reached. Houthi rebels, who are a Shia group, have been fighting against government forces. Mr. Obama appears to be more clueless as time passes. Or maybe he knows better, but assumes American media will continue to report his twisted interpretation of events to the American people as indisputable fact, without challenge. Now there's a petition seeking "guest" status for the intruder. The Washington Post reports the Department of Homeland Security is falling behind in meeting some of the key requirements of its mission. Meanwhile, it's recently been reported elsewhere that the Department of Homeland Security now provides only lax oversight to many of the aliens who are detected after entering the country illegally, even giving them the ability to fly commercially with little documentation. The former Democratic congresswoman, whose recovery from a gunshot wound to the head captivated the country, has unleashed some of the nastiest ads of the campaign season, going after GOP candidates in Arizona and New Hampshire with attacks even some left-leaning commentators say go too far. You may remember when Gifford's husband tried to buy an AR-15, but howls of protests over his hypocrisy, and his changing story of what he planned to do with the rifle, resulted in the sale being cancelled. 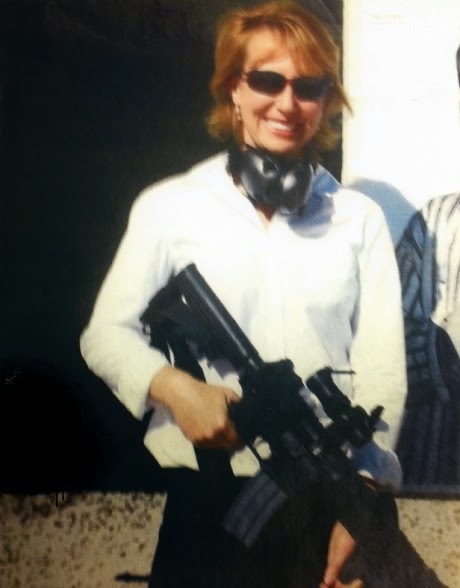 Others remember when Gabby Giffords, prior to being shot at a campaign event at a grocery store, was happy to shoot with and pose with firearms when she thought it would help her political image. After a series of lackluster reviews, the traveling global warming musical that was financed by the U.S. taxpayers is ending its run early. The Great Immensity, a musical described as “painfully long” and “awkward,” was made possible by a $697,177 grant from the National Science Foundation (NSF). Wanna taste of what your tax dollars paid for? Take peek here. You've probably seen the commercials for Morgan and Morgan, the ambulance chasing social justice law firm that uses "for the people" as its marketing slogan. Founding partner John Morgan has a way with words. Here he is as you've probably never seen him before: Spewing f-bomb after f-bomb in a profane and apparently drunken stump speech seeking support for a medical marijuana amendment in Florida. And yes, Morgan's tirade really did happen. It's been written up in Florida MSM media. Nope. Rahm says it won't happen. Anti-gun Brady activists have targeted four online ammo sellers with a lawsuit. Ammo's back in stock most places, and at prices near pre-panic normal. Do you have what you may need for foreseeable events (recreational or otherwise)? A law enforcement bulletin obtained by FoxNews.com warned that Islamic State fighters have increased calls for "lone wolves" to attack U.S. soldiers in America in recent months, citing one tweet that called for jihadists to find service members' addresses online and then "show up and slaughter them." Apparently the bulletin's been out for a while. Maybe it should have received wider distribution earlier. Not intending to be alarmist, but maybe it's best if military families try to be a bit stealthy about their homes and workplaces when posting on social media. "When you poke the Russian bear..."
Nigel Farage shares his thoughts on the mess in Ukraine, and urges the EU to rethink its direction. But in general, I think we should make the point about refugees here, that the United States resettles more refugees than the rest of the world combined, period. And I think our commitment to helping with resettlement of refugees is an important one that we take very seriously. So taking it broader, obviously I can’t comment on the specific visa case. This is a commitment we take very seriously. The UNHCR just this year started referring Syrian refugees to the United States for processing. There are several thousand in process right now. It does take some time, given that it is, again, a process. But this is something we’re very committed to doing. QUESTION: Do you know how many they have referred and how many are in process? MS. HARF: Yes. Well, I think all that they’ve referred, I think, are in the pipeline. There’s several thousand Syrian nationals in the pipeline at the moment. I don’t have a more specific number than that. QUESTION: But so far in 2014, U.S. admitted only 63 Syrian refugees. MS. HARF: Since Fiscal Year 2011, we’ve resettled 166 Syrian individuals. But again, part of this is because the UNHCR only began this year in mid-2014 referring refugees in large numbers to the United States. That’s a process that we’re a part of, so I can expect, obviously, we have several thousand in the pipeline, and that number will continue to go up. Obama wants you to rush out and replace your central air system. Pledge of Allegiance "too political"
CBS Sports has reportedly deemed the Pledge of Allegiance "too political" to be broadcast as a part of a commercial that a sponsor wanted to run during a rodeo telecast. Believe it or not, it's an op-ed headline from the New York Times. Finally something to show direct Russian military involvement in Ukraine? Russian soldiers return home dead or injured. And Moscow has little to say about the hows or whys. A few posts back, I linked to a commentary from a retired professor who blamed Washington for the mess we're now seeing in Ukraine. When I made that post, I didn't have time to share my own thoughts, but will do so now. While the professor's political bent appears to be quite liberal, he sees factors and reaches conclusions similar to my own. The west bumbled its way into starting a civil war. Kiev's former government had some serious issues, but outside tinkering seems to have disenfranchised the country's east and southern Baltic regions. /Armed homegrown opposition has been the result. The West keeps talking about Russian equipment and troops in Eastern Ukraine. But I suspect many, if not all, these alleged troops are just as likely to be Ukraine troops that defected, taking Russian built Ukrainian hardware with them as they transitioned to the rebel side. Meanwhile, the international sanctions game being played now threatens both Russian and European economies, with potential impact on the U.S. as well. All three economies had signs of weakness when Washington set sanctions foolishness in motion. And the moves and counter moves continue to escalate. The outcome here may not be as horrific as what happened in Libya, at least for now, but economic damage may be far more widespread. And widening conflict is possible. The Obama administration and the NATO/EU folks seemed to have jumped into another situation without thinking things through. Ukraine needs to come to a solution about what to do on Ukraine. Not Obama, Putin or the EU. Roll back the clock to last December 2013: Victoria Nuland from the Obama-Kerry State Department bragged of the U.S. investing five billion dollars to move Ukraine in a "democratic" European direction. To hear Nuland tell it back then, all Ukrainians were demanding a fundamentally transformed European Ukraine. Nuland and the U.S. team seemingly made no allowance for the country's deep cultural, political or economic Russian ties. When it comes to fundamental transformation, the Obama team seems to have little patience, and leaves no room for moderation. Either at home or abroad. Barack Obama has some company. Now it's British Prime Minister David Cameron who insists the Islamic State is not Islamic as he reacts to the beheading of a British aid worker. "The fact that an aid worker was taken, held and brutally murdered at the hands of ISIL [ISIS] sums up what this organization stands for," Cameron said in an address to the British people. "They boast of their brutality; they claim to do this in the name of Islam. That is nonsense. Islam is a religion of peace. They are not Muslims, they are monsters." Crack open the Koran, Mr. Cameron. You might be surprised what Muslims have been commanded to do in the name of Islam. Beheading specifically makes the list. I suspect someone of Mr.Cameron's standing already knows this. But the president said he had already been headed toward a military response before the men’s deaths. He added that ISIS had made a major strategic error by killing them because the anger it generated resulted in the American public’s quickly backing military action. This is scary on a number of levels. First, the president seems to confirm his policies and strategy (if he finally has one) follow polling numbers, not the root realities taking place in the Middle East. He's not acting to defeat a foe, he's acting to shore up his poll numbers. That's not leadership. Obama's comments suggest he wouldn't have hardened his edge against ISIS had it not beheaded two American hostages. Again polling comes into play, but Obama seems to say that all the hundreds, perhaps thousands, of other beheadings, crucifixions or other atrocities carried out by the Islamic State hadn't elevated things to a level where he was sure he wanted to act. And lastly, for the president to put himself in the shoes of advising ISIS is unsettling in and of itself, even if it's just pretend. It's almost as if the president is betraying some inner sympathy with what ISIS, a self-proclaimed Caliphate, is doing in the Middle East. Obama blames ISIS for swaying public opinion to a point where he had no choice by to partake in wider military action against it. It's like Obama doesn't want to own his own decisions on this one. Obama still feels compelled to make additional excuses for acting. Next weekend, in New York. The September 21st People's Climate March in New York City is a way to meet and help others in our communities who are engaged in building this demonstration. In many areas, coalitions are working to send people to NYC, in others local actions in support of the People's Climate March are being built. We urge all clubs and members to contact local organizing efforts and offer help and participation. In many areas the Sierra Club is teaming up with activists from 350.org and other environmental groups to organize transportation. Wagging his finger at Obama and NATO, this assessment by James Petras hits many points which have largely been absent in Western reporting of the Ukraine civil war. As reported from western Germany. "Militias" are said to be planning protests in the Rio Grande Valley of Texas next weekend. What kind of support can they muster? Officials across the Rio Grande Valley are preparing for potential violent protests next week. Militia members plan to protest illegal border crossings by blocking traffic at ports of entry on Sept. 20. Ruben Villarreal, mayor of Rio Grande City, is worried about safety as law enforcement agencies put together a plan of action. Meanwhile, unrelated to militias, a report last week from the Texas Department of Public Safety told of attacks on law enforcement and other confrontations between cops and drug smugglers. July 12, 2014 – Pharr, TX – Suspects deploy caltrops from vehicle: The Weslaco Border Patrol Station received a concerned citizen call advising that a pickup truck had Cibrian attempted to shoot a deputy U.S. Marshal, and DPS SWAT members used deadly force to fatally shoot the suspect. August 16, 2014 – Rio Grande City, TX – Valluco gang member fires shotgun at Starr County Deputy: As a Starr County Sheriff Deputy arrived to investigate a domestic disturbance call; a suspect fired a shotgun at the deputy, striking his patrol vehicle. The suspect escaped and is believed to be in Mexico. A review of the suspect’s social media websites illustrates his collection of firearms and ties to the Valluco gang. August 20, 2014 - Alamo TX – Driver of vehicle with marijuana deploys caltrops, disables law enforcement vehicles: Border Patrol, Pharr Police Department and Hidalgo Police Department began a pursuit of a vehicle after a failure to yield to law enforcement officers during a traffic stop. The suspect vehicle attempted to abscond from law enforcement, and during the pursuit, deployed caltrops that disabled law enforcement vehicles. The suspect bailed out and evaded apprehension, abandoning 18.5 grams of marijuana in the vehicle. August 24, 2014 – Hidalgo County, TX – Aggressive posture encountered by DPS Tactical Marine Unit: DPS Troopers with the Tactical Marine Unit (TMU) were involved in the seizure of a load of marijuana from a raft on the Rio Grande River. During the seizure, they received notification from a DPS helicopter that multiple vehicles were approaching their position at high speeds from the Mexican side of the border. Troopers on the TMU vessel then observed two SUVs and two sedans approach the riverbank and observe their activities during a tense encounter. August 25, 2014 – Hidalgo County, TX – Suspects on Mexican riverbank point firearm at Game Wardens: While a Texas Parks and Wildlife Department Game Warden Marine Unit conducted patrols along the Rio Grande River in Hidalgo County,they observed three individuals on the Mexican side of the river pointing a firearm at their vessel. No shots were fired and the individuals walked back into the brush. I suspect protests by militia members, if they actually happen, will draw more media coverage than the confrontations between cops and violent drug smugglers. The DPS report also told of recent deadly home invasions in the border region, and cited several cases of police corruption. But if mainstream media acts as I suspect, the presence of "militia" along the border region will be presented as more significant, a bigger menace, and far more scary than crooked cops, deadly home invasions or shoot-outs between cartel couriers and law enforcement. Wasn't there supposed to be a cease fire? Kinda noisy for a cease-fire. I think Ms. Pelosi confuses government with civilization. Maybe ending government as the Socialists and Progressive Democrats have remade it wouldn't be such a bad thing. But I doubt most Republicans in DC have any more desire to return us to your constitutional roots than the Democrats do. I often wonder, is Nancy Pelosi as stupid as some of the stuff she says, or does she just count on those who vote Democrat being stupid enough to buy what she's saying? Update: Here's another Democrat with a way with words: Rep. James Clyburn urges Dems use "sexting" as a political organizing tool. Or growing by leaps and bounds? U.S. officials now estimate ISIS has up to 30-thousand fighters on the ground in Iraq and Syria. Story's copy says "blood red," but the photos look pink to me. The color's irrelevant. It's the apparent hate that makes the impression. And it's a shrinking business under O. All those unaccompanied alien children we've heard about. The ones that came across our southern border in recent months, numbering in the tens of thousands. Now we're starting to hear about their "emotional scars" and the impact on our public school systems. The social costs, and the drain on our public resources, brought on by the immigration wave are just beginning. And, as we speculated a month or two ago, government's secrecy over where these kids were being relocated likely made it impossible for school systems to gear up in advance for the surge of incoming aliens. Mortgage Bankers Association says mortgage applications have fallen to their lowest level since December 2000. A "strong solar storm" is reportedly heading this way. Could be here by week's end. Who is Mr. Obama to speak for the religious convictions of ISIL, more accurately, an army that now calls itself the Islamic State? IS seems to function well within the framework of past Islamic armies bent on conquest. And there have been plenty of religions throughout history that condoned the killing of innocents. Islam may not advocate killing "innocents," but that was Obama's choice of words. Islam certainly labels unbelievers as infidels, and condones targeting them with a brutal vengeance. The Koran instructs Muslims to slay unbelievers where they find them. And it specifically embraces beheading. Islam, it seems, has core teachings of hostility to direct wrath against those who stand in opposition. Obama blew his credibility last night in the first few minutes. Makes me wonder what else was said where truth was shaded. A former Obama administration official is among those behind a pitch to lift America's ban on crude oil exports. A newly released study claims the move would lead to lower world oil prices, and cheaper gasoline for Americans. A big concern I have is that such a move might lead to U.S. refineries moving offshore. What would stop refiners from relocating to places with far less stringent environmental rules, and with far lower prevailing wages, if they knew the U.S. supply of crude oil would follow? As the driver of the motorcycle lay dying in the street, an male who claimed to be the man’s cousin drove off with the motorcycle that was still running. Further, a woman who claimed to be his girlfriend got out of a car and took the man’s belongings, including a tablet and a phone. Meanwhile, in Rochester, Michigan, also in Metro Detroit, a father was denied access to his daughter's high school because he was wearing his U.S. Army uniform. The father was told his attire might offend another student. In that case, the school has since backtracked, and issued an apology. BHO is not delaying amnesty till Nov. because of politics. It's just easier to pardon a turkey and ten million Mexicans at the same time. "The Day of the Siege: September Eleven 1683"
A fictionalized account of events leading up to the siege of Vienna, and the eventual demise of the Muslim would-be conquerors. Not the best of films, but watchable. Slow and plodding at times. But it did well in the portraying of dithering detachment of European royals who were very slow to ramp up their response to the Islamic threat. Kinda reminded me of the dithering denial by today's progressives, who refuse to accept the premise that infiltration and conquest in the name of Allah are long held goals of the Islamic world, and that such behavior and aspirations continue today - although perhaps under a less defined fourth generation warfare model. 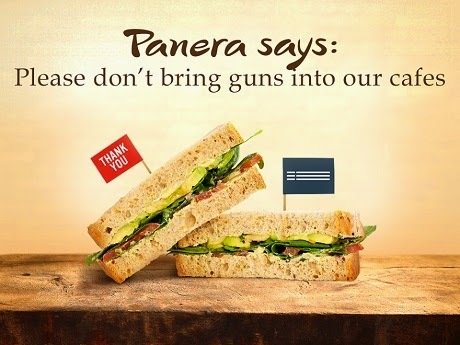 Bloomberg's anti-gun Moms Demand Action is apparently doing a happy dance now that Panera Bread has declared itself a gun free zone. Panera customers, please understand that this restaurant has just labeled you an unarmed target for robbery, carjacking or other violent crime both inside their facilities, and as you come in or as you leave the restaurant to make your way to your car. There's a Panera near me. There was also at least one carjacking and one attempted carjacking in that same shopping center's parking lot last year. The welcome mat's now been thrown out for more to come. I'm noticing that parts for military surplus rifles are commanding higher prices these days - if you can find the part. I occasionally price bolts or bolt components for Mosin Nagant rifles. A year or so ago, a bolt went for around $35 each, and you could often get a price break by ordering in quantity. Today? They're hard to find in stock at the usual online sellers, and on eBay, the nicer ones look like they're going for around 50 bucks or so. M-1 Garand parts are also getting pricier. A couple years back, I watched prices for complete trigger groups on eBay, and recall seeing most eventually go for between $79 and $130. I checked some out last night, with most priced starting at $129, and going much higher depending on manufacturer or serial number. Military surplus ammo for the Mosins and Garands is also priced much, much higher than just a couple years ago. A 440 round spam can of Russian made 7.62 x 54R now runs about a hundred bucks now, if you can find it. For years, the only military surplus ammo I've seen for the Garand has seen sold through the Civilian Marksmanship Program. Currently, the only 30-06 ammo at the CMP is Greek HXP, being sold 200 loose rounds packed in old ammo cans at $118 per can. How do the unemployed spend their days? The unemployed are more likely to shop than they are to look for a job in today's upside down America according to the government's Bureau of /Statistics. Only 18.9 percent of Americans who were unemployed (in surveys conducted from 2009 through 2013) spent time in job search and interviewing activities on an average day, according to BLS. Yet 40.8 percent of the unemployed did some kind of shopping on the average day--either in a store, by telephone, or on the Internet. 22.5 percent of the unemployed, according to BLS, were shopping for items other than groceries, food and gas. Like the unemployed are flush with cash to blow as disposable income? This is just one part of a bigger picture. Sooner or later, our bubble's gonna burst. "They got a white dude"
According to police, three people were jumped by a large group of teenagers who were chanting “fam mob.” The group, who came from CiCi’s Pizza, reportedly attacked a 25-year-old customer as he left his car to enter Kroger. Two employees, ages 17 and 18, were attacked while trying to stop the fight. Both were “struck several times in the head and face, while being knocked to the ground.” The victims say large pumpkins were thrown at their heads. They both eventually were knocked unconscious. Meanwhile, Bloomberg's meddling moms are demanding Kroger ban guns from its stores, claiming that peaceable, law-abiding folks who carry for self defense, make us less safe. Say hello to "Think Again Turn Away", a video campaign intended to steer would be ISIS enlistees into rethinking their ambitions. This is the best anti-ISIS propaganda the U.S. State Department can come up with? But on a more serious note, if the State Department is making a video like this, how many Americans does it think are in the pipeline to join in fighting for the Islamic State? How many potential enlistees does the government suspect are prepping to do their fighting here at home? Stumbled across an old news item while doing some reading today. Story's from Germany, not long after the Nazis' rise to power. BERLIN, March 20. -- Charging that Professor Albert Einstein had a huge quantity of arms and ammunition stored in his secluded home in Caputh, the National Socialists sent Brown Shirt men and policemen to search it today, but the nearest thing to arms they found was a bread knife. Are similar searches (and witch hunts) coming soon to America? What are the chances we'll soon see raids on high profile people in places like New York or Connecticut in attempts to search out and seize "illegal" and "unregistered" arms in accordance with gun control laws passed there in 2013? Yes, it could happen. But probably not until after the November elections. On the other hand, concerns about possible confiscation are already ramping up after a recent extraction of records from a gun shop in New York. Russian news agencies reported. Moscow is ramping up its military presence in the pristine but energy-rich region as other countries such as Canada and Norway are also staking claims to access its resources. Shell Oil is also taking steps toward an Arctic return. Environmental groups are expressing much unhappiness with the Arctic's new attention. A decade so so ago, I'd often hear progressive Democrats borrow a quote from a 1930s book by author Sinclair Lewis. "When Fascism comes to America, it will be wrapped in the flag and carrying a cross". Democrats seemed to constantly fret over the so-called religious right. There were even accusations that, under George Bush, America was on the verge of becoming a theocracy. Back then, I pulled out my old copy of Lewis' "It Can't Happen Here" about the fast, and furious rise of fictional President Buzz Windrip - who plunged the United States into a fascist state. Dems seemed stuck on that one quote. I noted a couple of other things. "Call me a socialist or any blame thing you want to, as long as you grab hold of the other end of the cross-cut saw and help slash the big logs of Poverty and Intolerance to pieces." "I have no desire to be be President. I would rather do my humble part best to be a support of.... or any other broad-gauged but peppy Liberal. My only longing is to serve." How was Windrip's campaign initially received? "Windrip caused the building of of impressive highroads and of consolidated country schools; he made the state buy tractors and combines and lend them to the farmers at cost." "He preached the comforting gospel of so redistributing wealth that every person in the country would have several thousand dollars a year (monthly Buzz changed is prediction as to how many thousand), while all the rich men will nevertheless be allowed enough to get along, on a maximum of $500,000 a year. So everybody was happy about the prospect of Windrip's becoming president." Looking at the "prophetic" writings of Sinclair Lewis' fascist boogey-man in his 1935 pre-election state, I saw more in common with modern Democrats than I did Republicans when were were mid-way through the Bush years. But the descriptions of Windrip's campaign and philosophy seem to stand out even more now that we're nearly six years into Barack Obama's terms as president. Under Windrip, Congress was disbanded. Obama hasn't gone that far. But he's made a big deal of actively trying to circumvent its role in government when it fails to fall in line with his agenda. How much farther will Mr. Obama push his Windrip-like actions during his remaining time in office? Windrip's attempts to fundamentally transform America eventually erupted into civil war. How much farther can Obama's divisive policies continue to push America apart; will America continue to keep at least the appearance of a peace? Labor force shrinking, fewer jobs being created. Contrary to the claims of the American president who insists ISIS doesn't represent Islam, today's Islamic State is seen by others as a fulfillment of true Islam. Most crucial in (Don) Morgan’s case may have been the order and discipline that he says he found in practicing Islam –and in ISIS’s interpretation of the Muslim faith and its determination to spread it in the form of a caliphate. “My reason for the support of ISIS is because they’ve proven time and time again to put Islamic law as the priority and the establishment of an Islamic state as the goal,” Morgan told NBC News. John Kerry seems to think he's been called by God to protect Muslim nations from Global Warming. Meanwhile, American Muslims seem to think Kerry should prioritize keeping them safe from other Muslims. Are we a Christian nation? Is Christianity still a religion? A Muslim and ranking member in Turkey's government has declared that Christianity is no longer a religion. On one hand, it seems a pretty pompous thing to say. On the other, Western Civilization has been shaped less and less by Christian doctrine and true religious observance for decades. Yet we do maintain some of the cultural trappings, our holidays for instance. Maybe this is why some practitioners of Islam now treat the U.S. and other traditionally Christian nations as soft targets. Perhaps our decline in the number of people versed in and practicing Christianity as a religion, and a failure of Christians to take a stand for the doctrines and dogma of the faith, are part of what's allowed Islam to make recent inroads in our formerly Christian nations. Practitioners of Islam likely see the now godless secular West as ripe for conquest. At least if you're in the core of one of the targeted cities. Fast food minimum wage activists plan to be out in force on Thursday targeting fast food franchises and operators. Organizers say civil disobedience may taken place in some of the targeted cities. The demonstrations are being organized by Fast Food Forward, a coalition reportedly funded at least in part by SEIU. Organizers claim they'll be out in as many as 150 cities. In Venezuela, clean water, food, electricity and toilet paper are all in short supply. How are the Socialists in charge working to get things back on track? Our Chavez who art in heaven, on earth, in the sea and in us the representatives, Hallowed be Thy Name. But Venezuela's Marxists just want to dish out more of the same, pretending they have enlightenment bestowed by some kind of Marxist deity. Bad as things are, in Venezuela, it's downhill from here, I suspect. Stalinist America? Or a disturbed teacher removed from a classroom setting? Strange story out of Maryland. A middle school teacher was apparently whisked away by the sheriff for an involuntary psychological medical evaluation. Initial news reporting last week by WBOC TV seemed to indicate the teacher's fictional books, including one that had a story line with school shootings, was the trigger that set the involuntary confinement in motion. The school and the teacher's home were apparently searched for bombs or other weapons, but it's reported none were found. To its credit, The Atlantic dug a little deeper into the story. In a second page update, The Atlantic reports officials now alleged there's more behind their concerns of mental instability than just the teacher's novels. Hard to say which way this one goes. Did school administrators overreact, or were they and local law enforcement just incompetent in the way they handled initial disclosures? By the way, one of the books in question, the one with the school shootings, appears to have been available since August 2011, can be purchased for Kindle through Amazon, and has a story line set in the year 2902. Do recent policy changes in Mexico have ties to terror warnings? Actions in Mexico to stem the flow of illegal aliens traveling through the country have been reported here and here. Apparently zero interest or effort for these kinds of ops just a few months ago. I find it interesting that Mexico's new "get tough" policy coincides with the rise of the Islamic State and its international threats. Report: Britain and NATO ready to help Jordan against the Islamic State. Meanwhile, Obama, who has no strategy, and spent a good chunk of his holiday weekend fundraising, and complaining Republicans don't do things his way. Also over the weekend, Obama has apparently re-branded his immigration reform push under a new "immigration rights" label. Are we there yet? Yes, but it's a secret. Here's another one I missed earlier this summer. A U.S. subsidiary of Middle Eastern cargo company Gulftainer has signed a 35-year, $100 million agreement to boost cargo operations with a new terminal at Port Canaveral. It’s the first U.S. location for Gulftainer, a United Arab Emirates company that has been seeking entry into U.S. markets for years. Is it smart to give a Middle Eastern firm such access to operations at Port Canaveral? Port Canaveral is adjacent to Cape Canaveral Air Force Station, the east coast center were the U.S. military (and civilian industry) launch satellites via rockets. It's also the test range for military missiles. Port Canaveral is a relatively small port, and routinely hosts U.S. and British nuclear subs for off-shore launch tests of their missile deterrent. Seems there's a Brit attack sub there now. I lived in the area 30 years ago. It was always a good time in the bars when a British crew showed up.